We come from a vision of business partners, Thomas and Laurent, who originally forged their friendship during their respective studies at prestigious French university of trades, Les Compagnons du Devoir, with finesse in both traditional and modern techniques. Their extensive training means they can construct extremely complex and beautifully handcrafted designs. Reuniting near Byron Bay, Australia in 2016, along with new friend, Lisa, they all took the opportunity to acquire the former Mullumbimby Joinery following 20+ years of establishment with a solid reputation for quality craftsmanship in the heart of the Byron Shire. This means Laurent and Thomas have now followed their mutual dream of creating quality pieces of fine furniture and architectural fixtures in wood and metals which is unique to Australia. 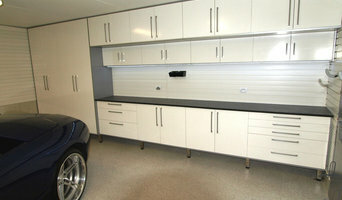 Custom Cabinets started over 10 years ago, and strives for great customer service and attention to detail. Specialising in custom cabinetry for kitchens, butlers pantries, wardrobes, ensuite and bathrooms, both in new and existing homes and offices. Our product and materials are of a high quality and is throughly discussed with you in the quote, which is a no obligation free quote. All projects are designed with you the customer in mind, its your home or office and you know what you want. The Business specialises in designing and installing custom orders which are made in our Gold Coast Hinterland workshop the business services Brisbane and the Gold Coast. 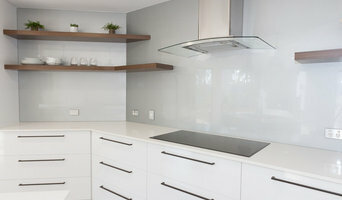 James Kitchens is a local family owned business, and we have been operating since 1982 in south east Queensland. We offer a solution to all your kitchen, laundry, storage cabinets, vanities, wardrobe and other renovation needs. We custom design every project based on our customers needs and budget. 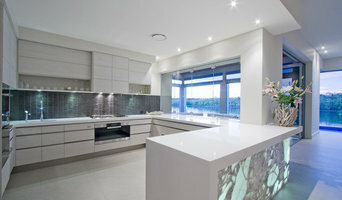 The James Kitchens showroom and factory is located in Nerang, Gold Coast. Joinery and cabinet makers are mostly known for their work in kitchens and bathrooms, but their skill set goes much further than that. It is important to understand the difference between carpenters and cabinet makers, which lies in the detail of work. Carpenters tend to work on larger structural projects and this is why many become builders, whereas cabinet makers are masters when it comes to the finer detail. 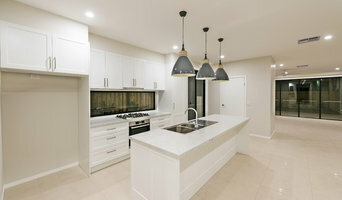 So if you’re looking for detailed woodwork like custom-made furniture for your living room or smart storage solutions, you’ll be sure to find a Fingal Head, New South Wales cabinetry expert in the Houzz directory of professionals. What Do Fingal Head, New South Wales Joinery and Cabinet Makers Do? If you know what you want and are ready to take the next step, scroll through this page to find joinery and cabinet makers in Fingal Head, New South Wales. As mentioned, you can browse their latest projects, read reviews and see how other homeowners rate their work, and message them directly. You can also look through Photos to find examples of joinery you like, then contact the professional who worked on them.